Four Colorado College faculty members, including two who are CC alumni, have been granted tenure and promotion to associate professor following the annual February meeting of the Board of Trustees. 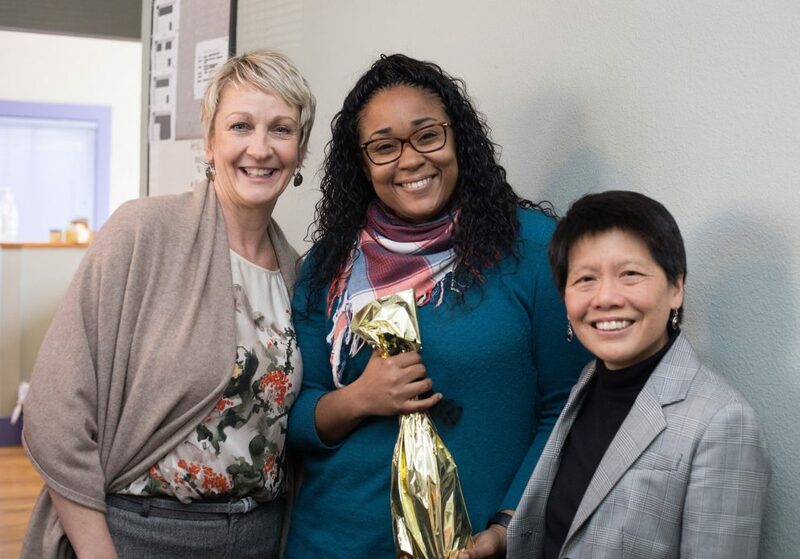 President Jill Tiefenthaler and Sandra Wong, dean of the college and dean of the faculty, visited each promoted faculty member, congratulating them and bestowing a gift. Additionally, the board awarded emeritus status to two professors. Those granted tenure and promoted to associate professor, effective July 1, are Ryan Raul Bañagale ’00, Music; Amy Dounay ’96, Chemistry; Heidi R. Lewis (pictured above), Feminist and Gender Studies; and Matthew Whitehead, Mathematics and Computer Science. The Board of Trustees also bestowed emeritus status on two professors of history, Douglas Monroy and Dennis Showalter.